The Reflective Parent - Description | W. W. Norton & Company Ltd.
An innovative parenting approach empowering parents to trust their instincts and embrace uncertainty. Figuring out how to raise happy, healthy and successful kids can be overwhelming. Parents find themselves wading through tons of conflicting advice. Books that outline a “right way” of doing things can leave even the most dedicated caregiver feeling discouraged and inadequate when real life doesn’t measure up. An experienced psychiatrist and founder of the Center for Reflective Communities, Regina Pally serves up something totally different in her book. She argues that the key to successful parenting is learning to slow down, reflect and recognise that there is no one key to doing it right. 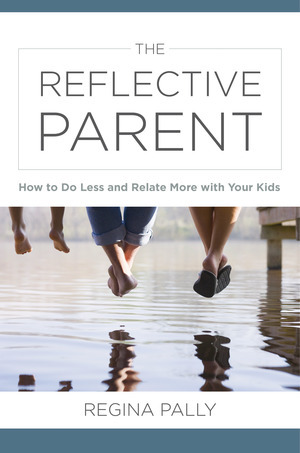 The Reflective Parent synthesises the latest in neuroscience research to show that our brain’s natural tendencies to empathise, analyse and connect with others are all we need to be good parents. Full of practical, easy-to-implement strategies that apply to every stage of a child’s development, and filled with engaging anecdotes, this book will help parents build loving, lasting relationships with their kids.